For over 30 years, Dr. Ruchi Nanda has been providing exceptional orthodontic care to all her patients. She shares a passion for orthodontics with many others in her family. She is proud to be related to three world-famous orthodontists who have dedicated their lives to education and the further enhancements in research and development of the orthodontic field. Her father recently retired from the Oklahoma Health Sciences Center after over 36 years of serving as the Founder and Chairman of the Orthodontic Department. One of her uncles was the Chairman of the Michigan University Orthodontic Program, and her other uncle is currently the Chairman of the Orthodontic Department at the University of Connecticut. She has two children who are also orthodontists and her daughter practices with her. Highly educated, Dr. Nanda is a Diplomate of the American Board of Orthodontics. She attended the University of Oklahoma from 1974-1977 where she obtained her Bachelor of Science in Microbiology. She then went to the University of Oklahoma Health Science Center from 1977-1981 to earn her Doctor of Dental Surgery. 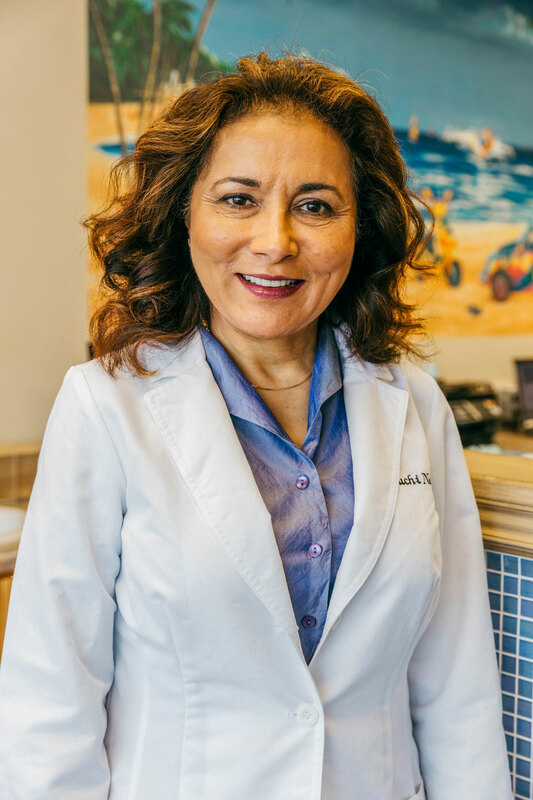 After graduating, Dr. Nanda pursued her Master of Science in Orthodontics from Loma Linda University from 1982-1984. Dr. Nanda shares her vast knowledge by lecturing to her peers at special events. In May 2000, she was the guest lecturer at the American Association of Orthodontics National Meeting in Chicago. In both 2001 and 2005, she lectured at the International Symposium at the World Federation of Orthodontists and the Indian Association of Orthodontists. She has given guest lectures to orthodontic programs as well as to dentists and dental hygienists over the past few years. To stay up-to-date with the latest advancements in orthodontics, Dr. Nanda holds memberships in many prestigious professional organizations, including the College of Diplomates of the American Board of Orthodontics, American Association of Orthodontists, Angle Society of Orthodontics, Southwest Society of Orthodontics, American Dental Association and the Oklahoma Dental Association. Dr. Nanda always likes to support her community, and since 2007, she has donated to the local elementary and high schools’ sports programs fundraisers. She also donates to various community organizations’ events, including the Oklahoma Heart Ball. In her spare time away from the office, Dr. Nanda enjoys traveling, gardening, music and playing tennis. 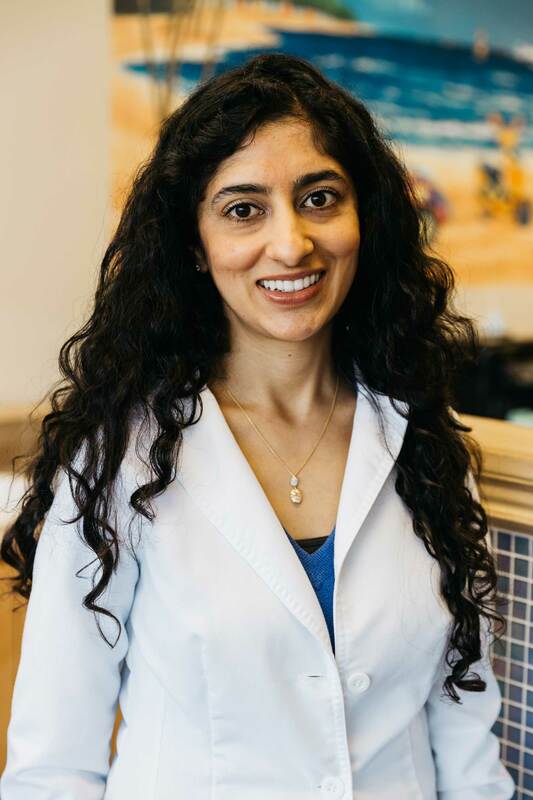 Munisha Nanda DDS, MS completed her 3-year orthodontic training with a Masters of Orthodontics degree at the State University of New York in Buffalo after finishing dental school and a 2-year residency in Advanced Education in General Dentistry from the University of Connecticut. Prior to joining Nanda Orthodontics, Dr. Munisha worked at Family Orthodontics of Shawnee and Casady Square Orthodontics. During her time in Shawnee Dr. Munisha was voted “best orthodontist in Shawnee” two years in a row. Along with this special recognition, she received many raving reviews. Dr. Munisha is looking forward to bringing her excellence to each and every one of her patients and giving back to her community. She also stays up-to-date with the latest advancements in orthodontics; Dr. Nanda holds memberships in many prestigious professional organizations, American Association of Orthodontists, Southwest Society of Orthodontics, American Dental Association and the Oklahoma Dental Association. Dr. Munisha enjoys travelling and spending time with her family and baby daughter in her spare time.